There was a month when I was recovering from surgery. In that time, I had to rely on friends and family to help me with almost everything, from laundry to cooking to cleaning. While it was frustrating, I was so appreciative of the people that stepped in to help. Their presence was a sweet gift that helped me get through a tough time. I also appreciated the cards and notes (and emails and Facebook messages) that let me know people were thinking about me…and praying for me. This time gave me a fresh appreciation for what these simple things communicate. They reminded me that God was with me and that he would always take care of me. It’s true: the littlest things can have the greatest impact. We have the same opportunity to help the women in our circles feel loved and cared about. I believe God will use them (and YOU) to encourage them, and open doors of ministry you may not have expected. Here are 10 simple gifts you can share—starting today! 1. Time. In our noisy, busy world, making time to listen speaks volumes. 2. Patience. Give women time to grow, respond, and get involved at their own pace. 3. A Smile. Offer a sincere smile to each person you can come in contact with. 4. The Benefit of the Doubt. Resist hearsay (and gossip!) and believe the best in others. And let them know you are on their side, no matter what. 5. Friendship. Many women are starving for real friends. 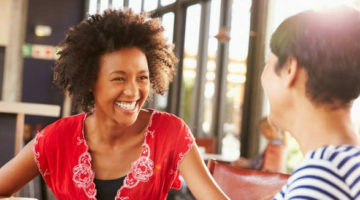 Make sure you provide opportunities in your events and meetings for women to get to know one another and form real friendships. 6. Words of Encouragement. Make a habit of saying, writing, and sharing encouraging words to those around you. You don’t know the impact your words can have on someone who is starving for encouragement. 7. Recognition. Make note of special events in your meetings or newsletters; birthdays, anniversaries, special occasions. And don’t forget to recognize those who help with your events. 8. Appreciation. Let the women you serve with (in any capacity) know you appreciate their time and talents. There are many fun and informal ways to do this! 9. Prayer. Don’t just offer to pray for someone. When a need comes up, or someone is feeling low, stop right then and pray with them. Help them know how much they are loved, not just by you and your group, but by God. 10. Laughter. Women tend to take themselves too seriously! Give them opportunities to be silly and have some good, clean fun. It will help lift heavy hearts and also work to bond women to one another. You may have received one or more of these gifts at a time when you really needed it. Now is the time to share that same gift with someone else!